A horrific attack on a father of three has left him in a life threatening condition in hospital. He suffered critical head injuries and is on life support apparatus. 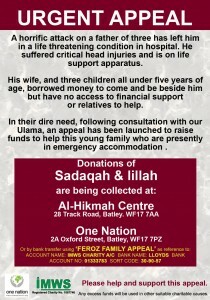 His wife, and three children all under five years of age, borrowed money to come and be beside him but have no access to financial support or relatives to help. 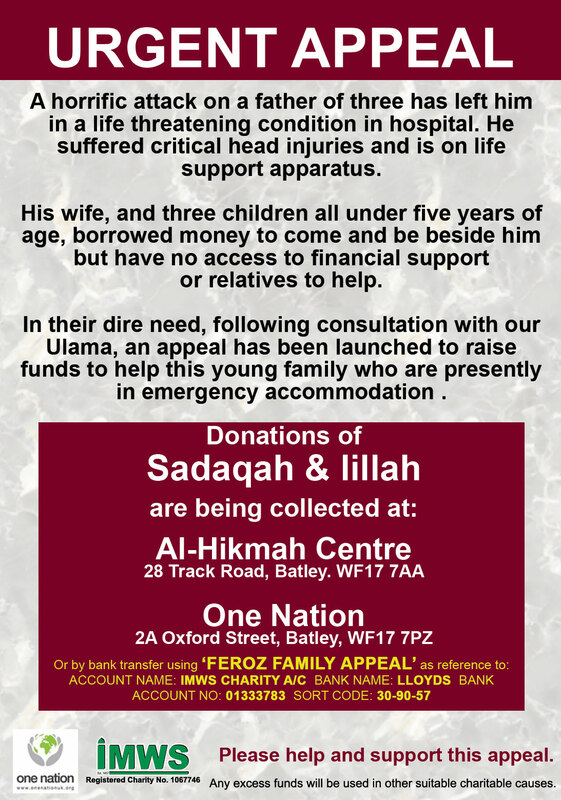 In their dire need, following consultation with our Ulama, an appeal has been launched to raise funds to help this young family who are presently in emergency accommodation . 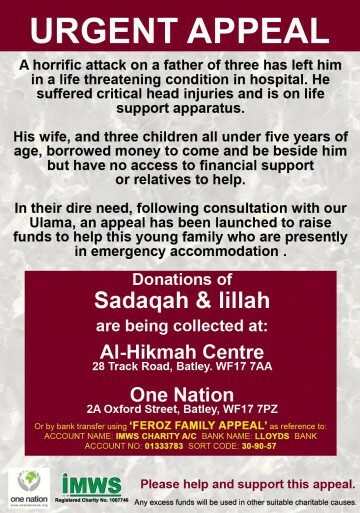 Please help and support this appeal.